People in Need of Kidney, Liver, etc. Imagine a freak illness and waking up weeks later with no hands and feet? Ilysa Reich Winick, a Manhattan mom of two children had this heart wrenching experience. This nightmare left Ilysa needing a living kidney donor. If you have O blood, have the desire to save a life email or call 718-431-9831 and save this mother. To support this family in other ways please click here: https://helphopelive.org/campaign/11592 Save 1 Mom. Save The World. Steven Needs a Living Kidney Donor! PIX (CHANNEL 11) PICKS UP A SAVE 1 ALERT! This is a Save 1 Alert! Save 1 Person. Save The World. 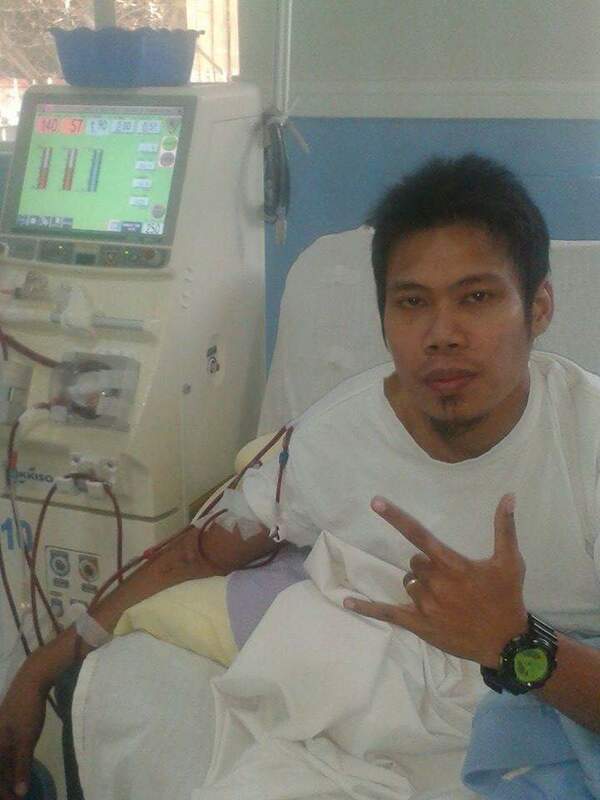 Ian Labarus needs a living kidney donor immediately to save his life. Ian's sister wants to be a living kidney donor to her brother, and the operation can not occur without the proper support. The kidney is the hard part, getting the necessities beyond that should not be the reason Ian does not get a kidney... To find out more go to http://www.gofundme.com/xnxep3au. To contact Ian directly with any questions go to his facebook page: Ian Piezas Labares. The purpose of this Save 1 Alert is to save Ian. Peter Needs a Liver Donor! Save 1 Person. Save The World. Peter Brouwer from Canada thought he was getting is life saving liver tansplant. And then with very little notice, his operation was canceled. Can you imagine the heartbreak thinking your life is being saved, then being told sorry try again. Peter needs a liver donor to survive. Did you know if you donate a portion of your liver it will grow back between 6 to 8 weeks. If you'd like to be a donor go to Peter's face book page https://www.facebook.com/peter.brouwer.754?fref=nf. Save 1 Person. Save The World. Marty Longshore from South Carolina has spent years making sure the innocent are protected by his law enforcement role at the Sheriff's office. Now, Marty needs someone to protect him as he's in kidney failure. Since Marty already had a transplant, his chances of finding a match are only 2 percent. We want to change those odds! Would you consider saving a life? To find out more watch this news segment: http://www.wltx.com/news/local/lexington-man-needs-second-life-saving-transplant/438423943e: then go to Marty's Facebook page and save a life https://www.facebook.com/pg/AKidneyforMarty/about/?ref=page_internal. Save 1 Person. Save The World. Will You Donate a Kidney to My Sister? Can You Be a Hero to an Israeli Dad? Canadian Woman Needs Liver Donor, Now!